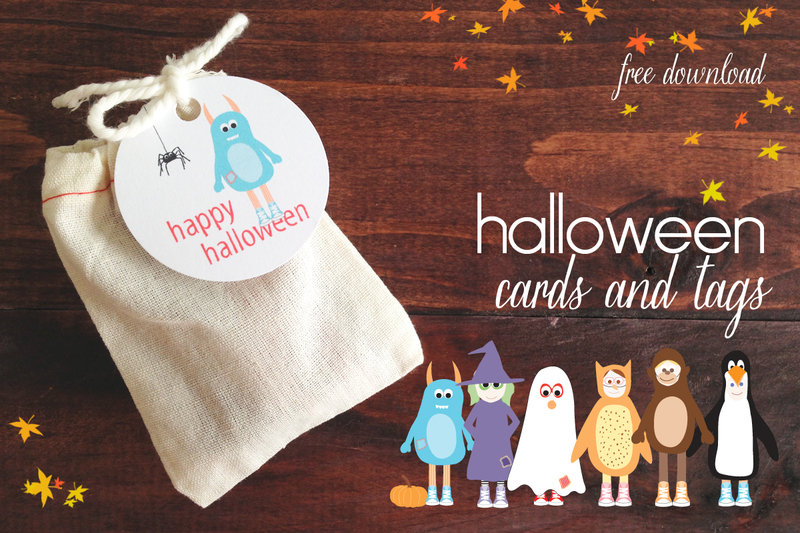 here’s a little costume-y cuteness for halloween parties, treat bags or just sending a note. 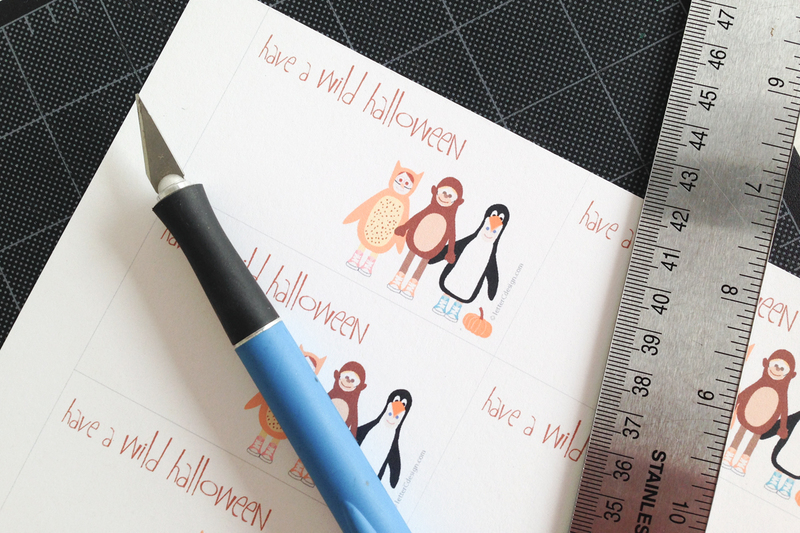 two gift cards to choose from and a trick-or-treat pattern envelope template. 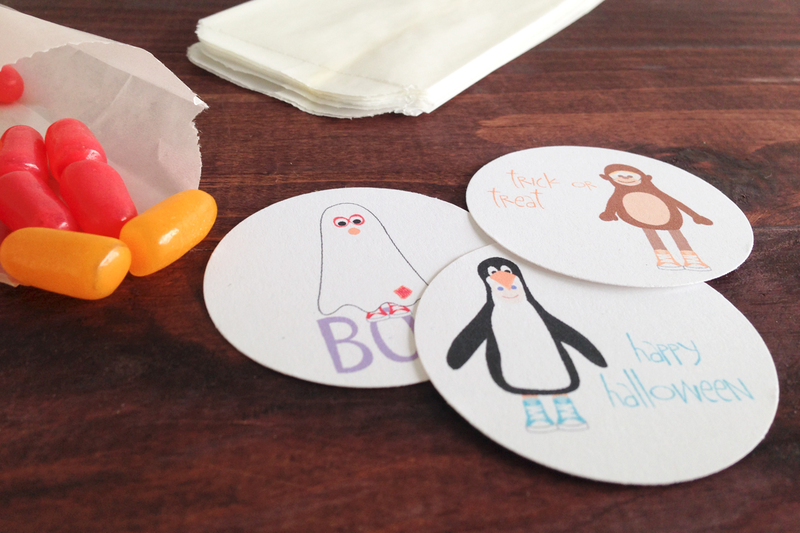 the envelopes also make cute little treat bags – perfect for stickers and small candy bars. 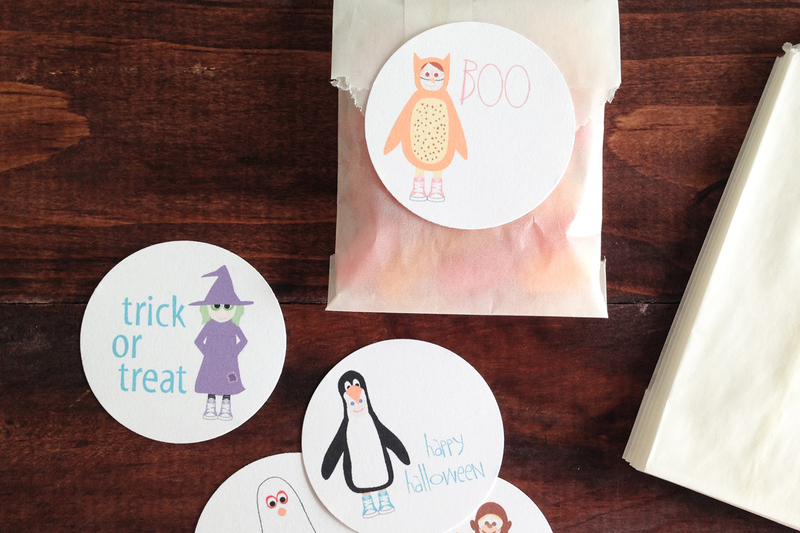 2″ circle tags will add a little cheer to gifts and treat bags. put the circles through a sticker machine or add double sided tape and you have stickers. or adhere them to a lollipop stick — instant cupcake topper.